Every day, organizations around the world use Axxana’s disruptive technology to eliminate the risk, costs, and complexity of their IT operations. Only Axxana can guarantee zero data loss at any distance and near-zero recovery time—whether applications are on premises or in the cloud, and regardless of data center topology. 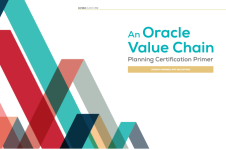 Employees from the Oracle Support organization will share tips and tricks and helpful documentation during a four-part OAUG eLearning series about archiving and purging, hosted by the OAUG Customer Support Council. 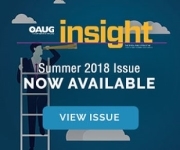 Promoted By Comet Enterprises, Inc.
More than 500 new presentations from the COLLABORATE 18 conference are now available in the OAUG Conference Paper Database. Browse, or search by specific criteria to locate topics of interest. Customer communications, easier than ever! Ready for Oracle Cloud Applications? Find out with AXIA's Oracle Cloud Applications Readiness Assessment. Receive tailored advice and templates to streamline project planning and accelerate implementation.